Fly ash samples were collected from a Chinese power station and divided according to particle size. The solid fly ash samples were digested according to ASTM methods. The arsenic contents of samples with different particle sizes were analyzed using atomic fluorescence spectroscopy after digestion. Other metals were analyzed using inductively coupled plasma-atomic emission spectrometer after digestion, and the carbon content was analyzed by a CHN elemental analyzer. The results show that the arsenic components are enriched in smaller fly ash particles. The arsenic contents have a positive relationship with calcium, magnesium, and iron contents, which indicate that stable compounds are formed between these components. 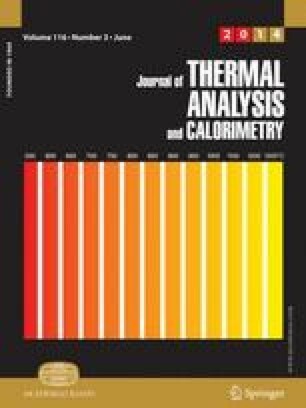 Thermogravimetric experiments of fly ash samples with different particle sizes were conducted, and the results indicate the combination of calcium hydroxide with arsenic form stable compounds. This research was supported by the National High Technology Research and Development (Program 863, No. 2013AA065501). The authors thank Dr. Wei-ping Pan and William Orndorff for helpful discussions.